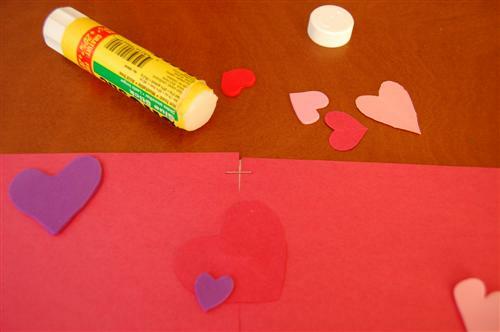 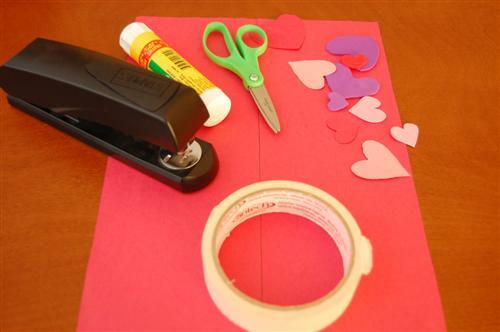 Cut out various sizes and colours of hearts. 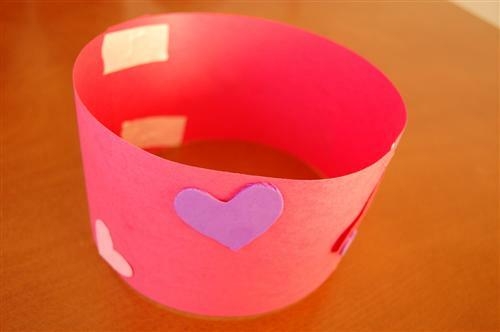 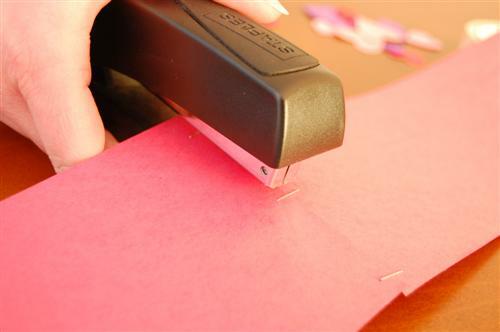 Lay each child's headband out flat in front of them and let them glue on hearts. 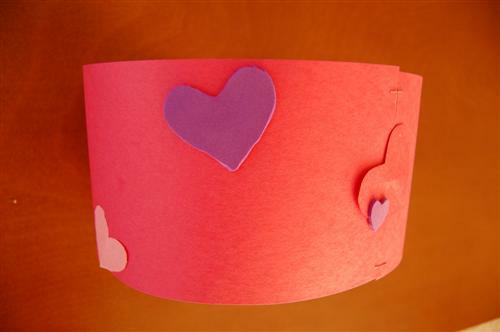 Once glue has dried, wrap band around child's head to measure for fit, then staple and tape it together.